Hello Doodlebugs! It's Mendi here with a set of fun crafty ideas to keep your kids entertained this summer! I don't know about you, but I'm addicted to stocking up on inexpensive school supplies at this time of year. 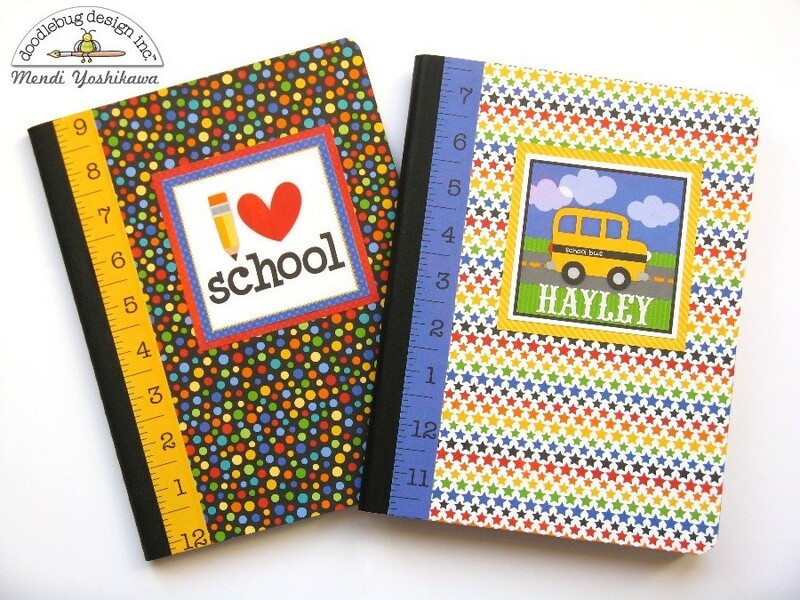 Unfortunately my kids are never too thrilled with the traditional composition notebooks & other plain looking supplies that go for the best prices so this year I thought it would be fun to have them pull out some of our favorite Doodlebug supplies to dress them up to suit their style! For mine here I used papers from Doodlebug's adorable Back To School collection to cover them along with some alphabet stickers for a personalized touch. To apply the paper to the notebook, I used Ranger's Multi Matte Medium (the larger version that comes in a jar) and a 1" wide paint brush. I applied the medium onto the backs of my papers and then brushed the medium over the entire surface of the notebook to seal the papers and make the notebooks more durable. 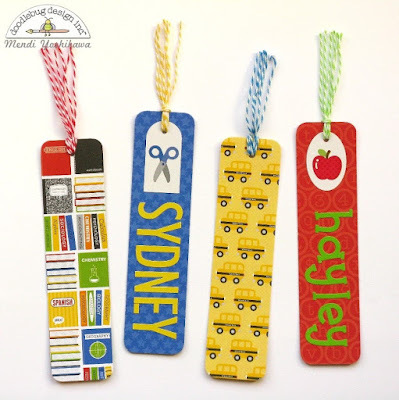 Up next is a quick and easy set of personalized bookmarks. I created these by adhering two strips of patterned paper together (back to back for extra sturdiness). I then trimmed them down to 1.5" x 6" and rounded the corners with a corner rounder. For the papers with a busier print I kept them simple and just tied three strands of baker's twine to the top. For the tone-on-tone prints, I used alphabet stickers and other coordinating stickers from the collection to personalize them. 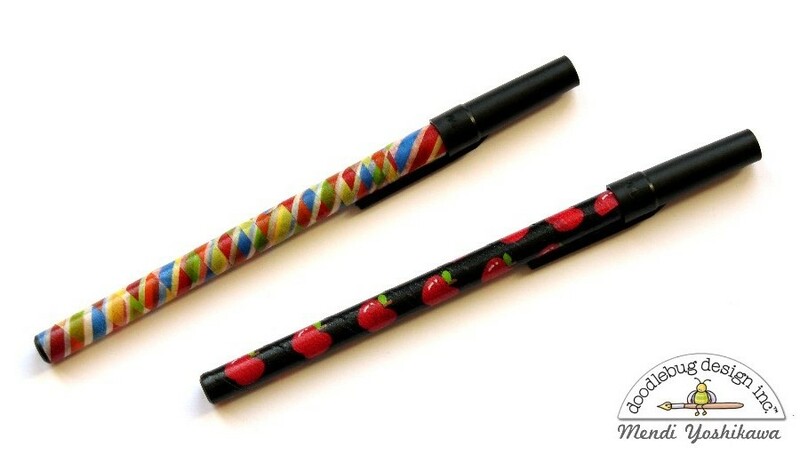 How fun are these!!! 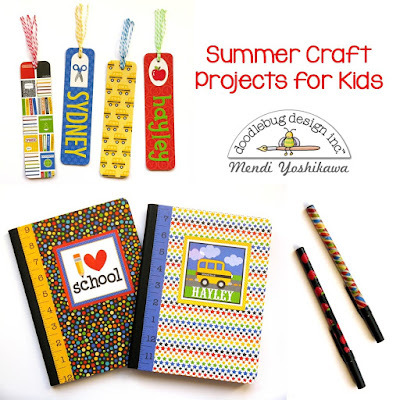 Such a fun idea, makes going back to school much brighter!!! SO MUCH FOR SHARING YOUR BRILLIANT IDEA FOR THE BOOKMARKS!